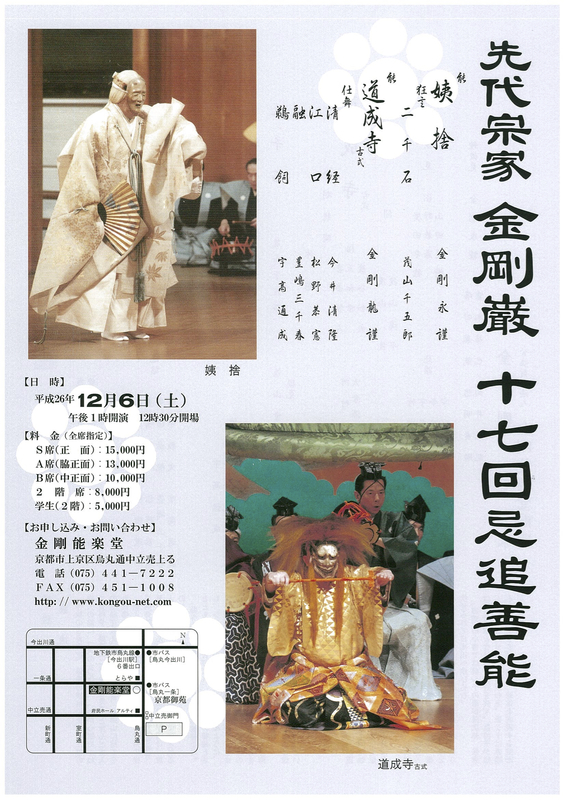 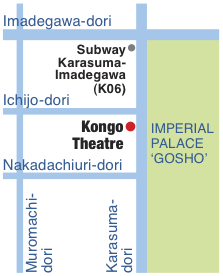 On Sunday 8th March 2015 at the Kongo Nogakudo, on the occasion of the fourth Ryumon no kai event, Kongo Tatsunori, son of the Iemoto Kongo Hisanori is going to perform the Noh Toru in the special variation Jusandan-no-mai. 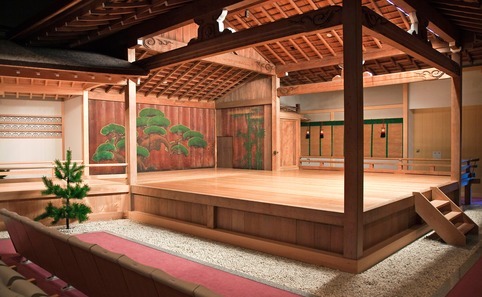 The Minister Minamoto-no-Toru, son of Emperor Saga, who built a magnificent villa in Kyoto called Kawara-no-in where he created a replica of the salt kilns of Shiogama in present day Miyagi prefecture. 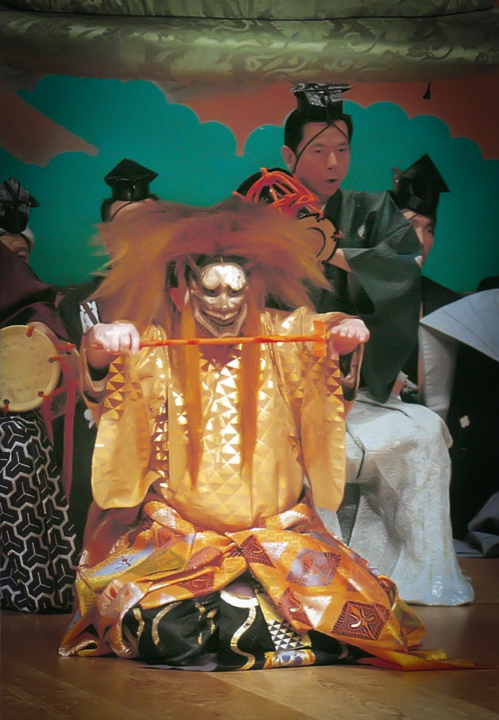 Toru is a highly evocative and dramatic Noh with a noble dance in the Jusandan-no-mai, Dance in Thirteen Movements variation, at the end of the Noh, in which the standard five movement dance is repeated in the Banshiki mode related to the element water, closing with three movements of the Kyu-no-mai, Rapid Dance. 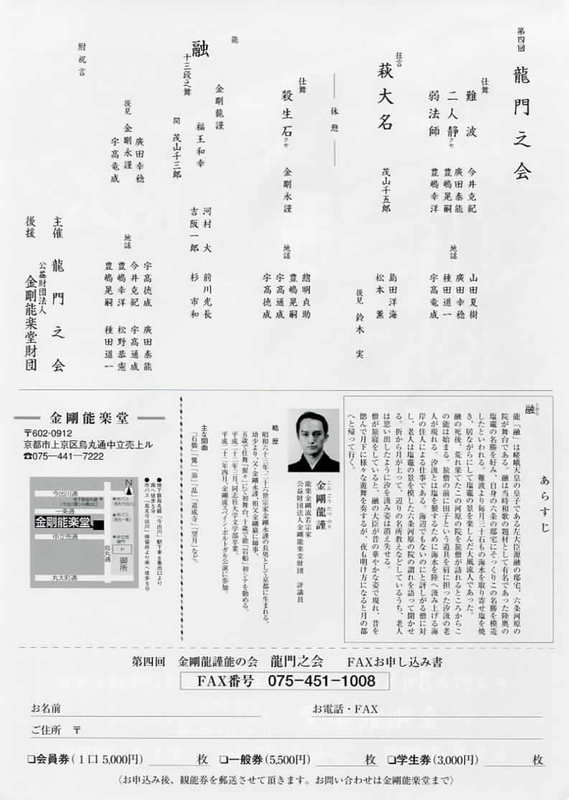 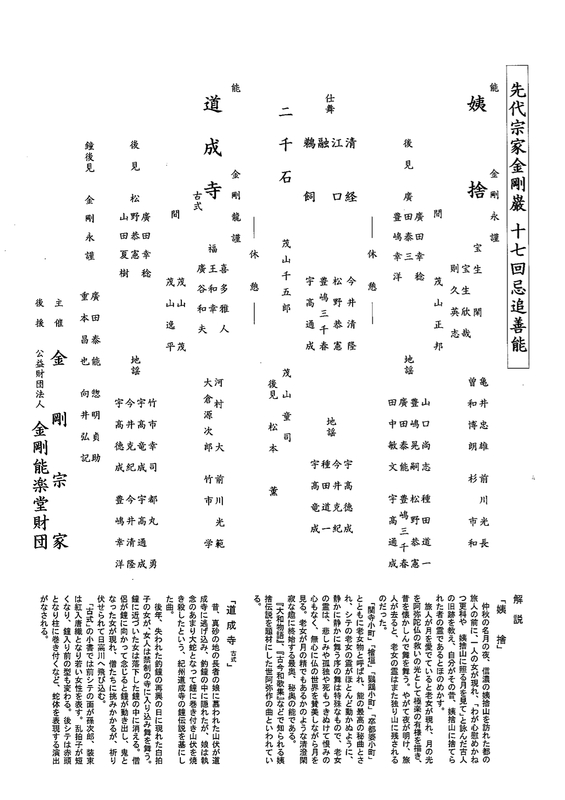 Shimai: Naniwa, Futari Shizuka, Yoroboshi. 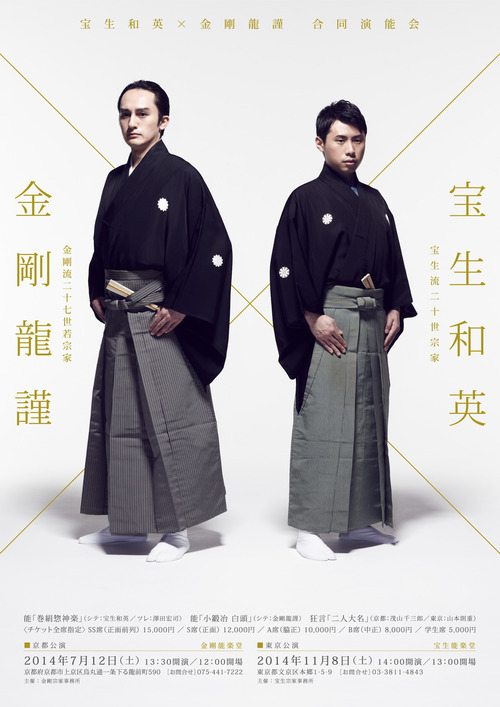 Interesting performance today at the Kongō Nōgakudō: the young Iemoto of the Hōshō school, Hōshō Kazufusa (27) and the future Iemoto of the Kongō school, Kongō Tatsunori (25) performed in the same event that brings together the current/future leaders of their respective stylistic schools. 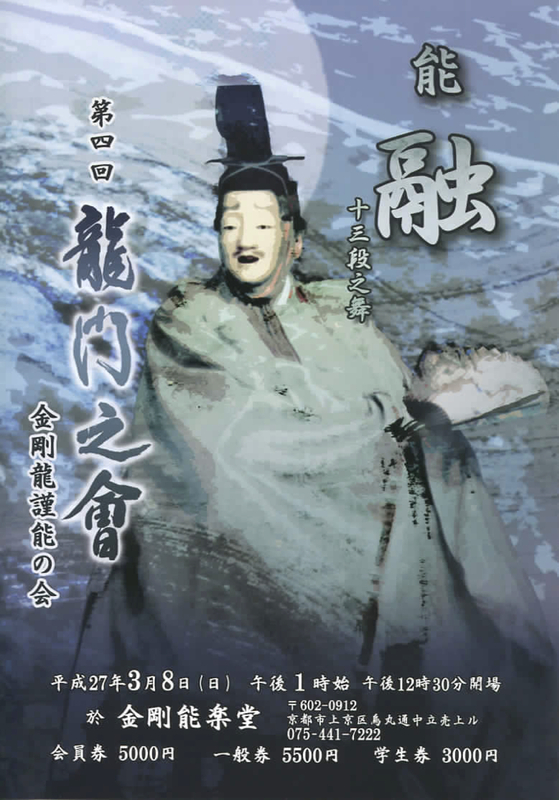 Hōshō Kazufusa performed Makiginu (sōkagura version), and it was very interesting for me to observe the Hōshō-style staging of a play I am rather familiar with, since I took part in it as tsure in 2010, and compare it with the Kongō rendition. 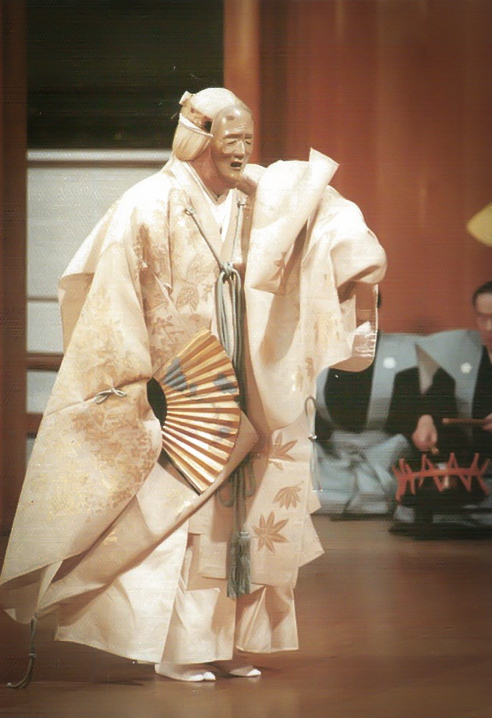 Kongō Tatsunori performed Kokaji (hakutō version), a variation for which the Kongō is renown, featuring the stunning white and gold costume, white wig, and ō-tobide golden mask. 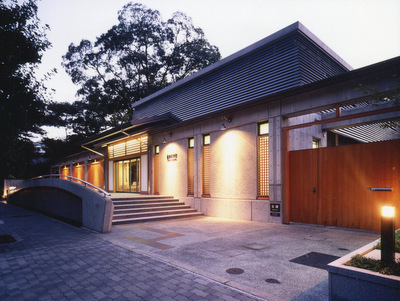 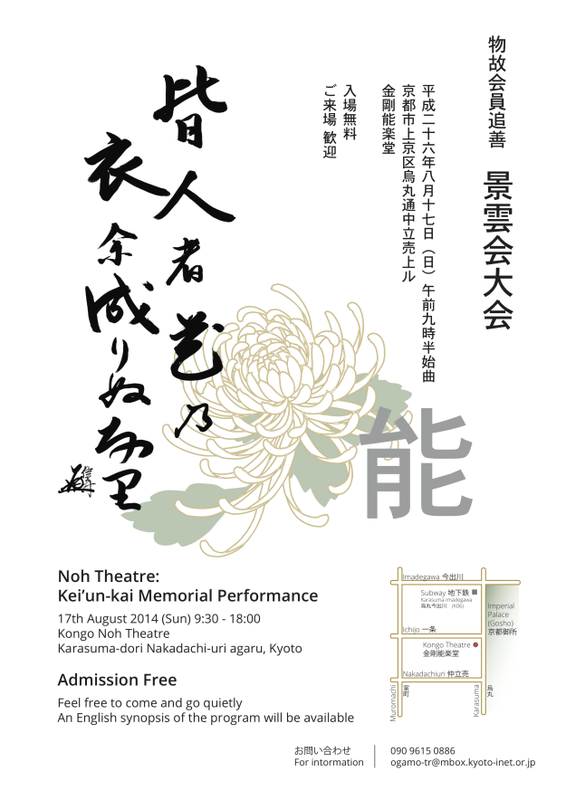 The event celebrates a long lasting relationship between the Hōshō and the Kongō school, but also acknowledges the efforts and achievements of two young protagonists of the contemporary Noh scene. 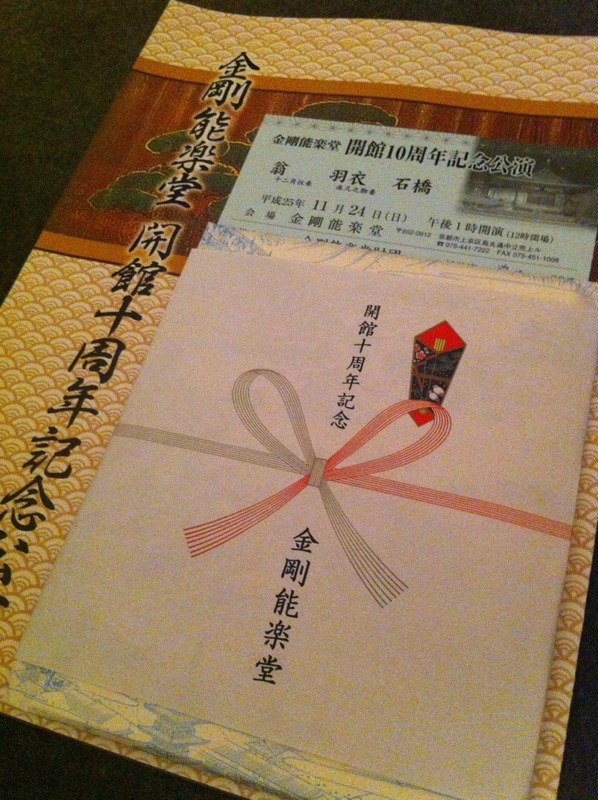 The event will take place again in Tokyo at the Hōshō Nōgakudō on November 8th.